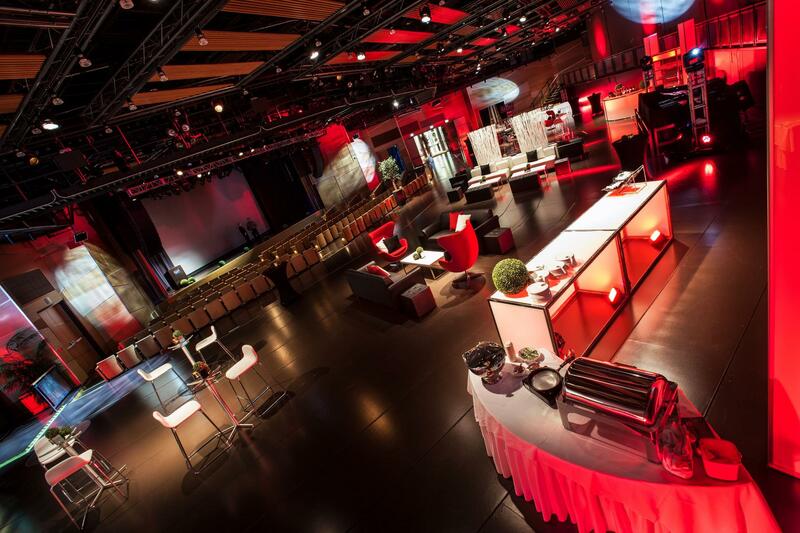 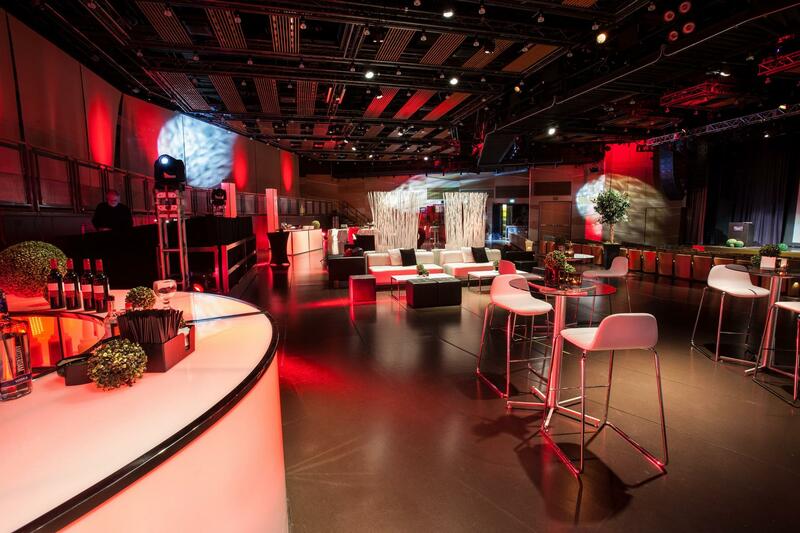 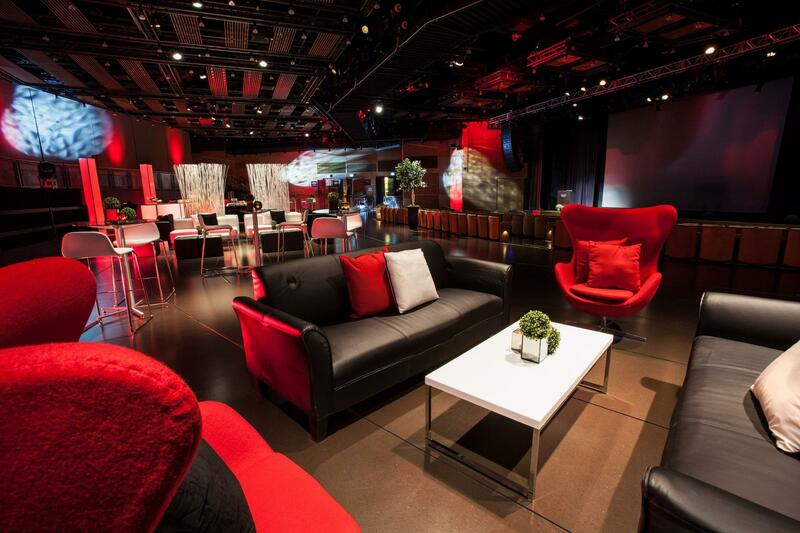 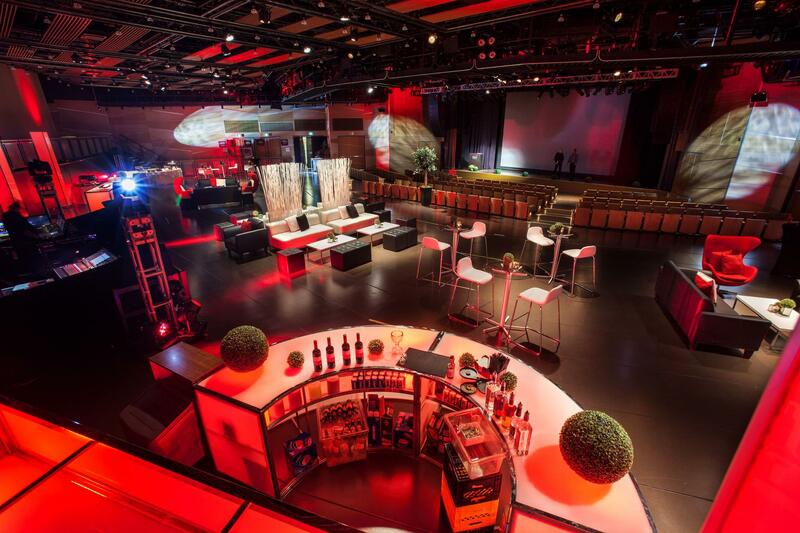 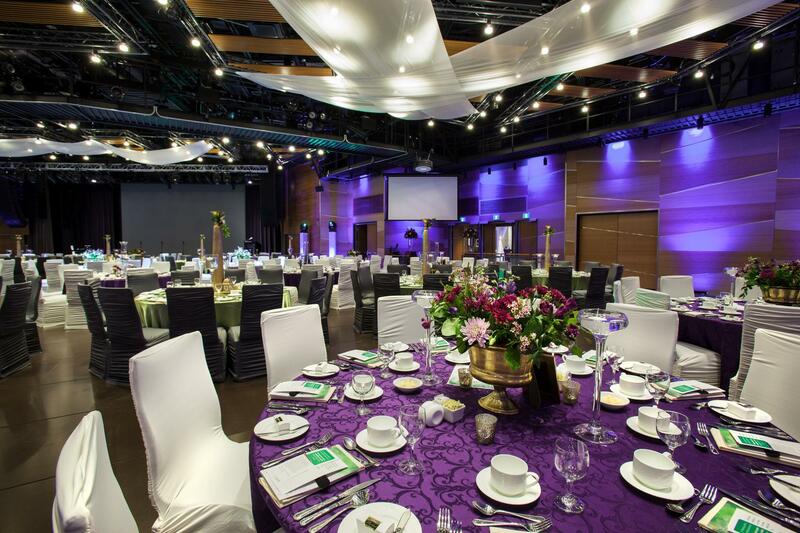 Our sophisticated Event Centre is a fully-customizable space that can be transformed to suit corporate events of any size. 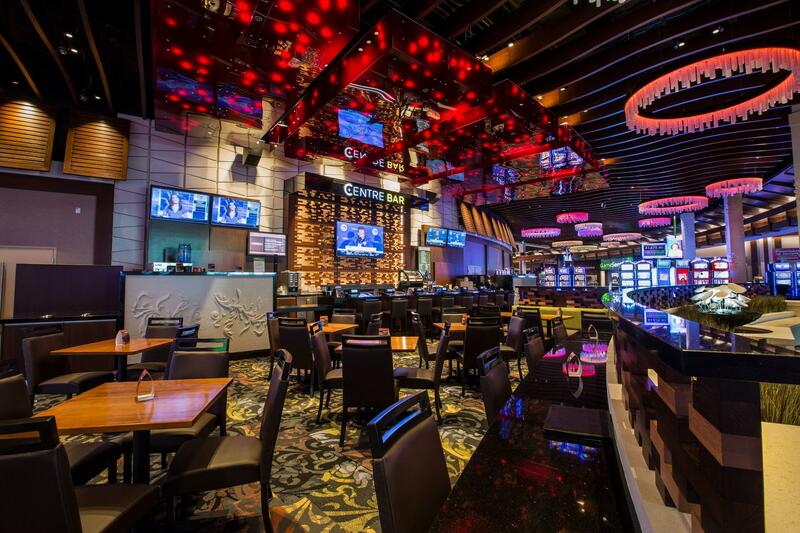 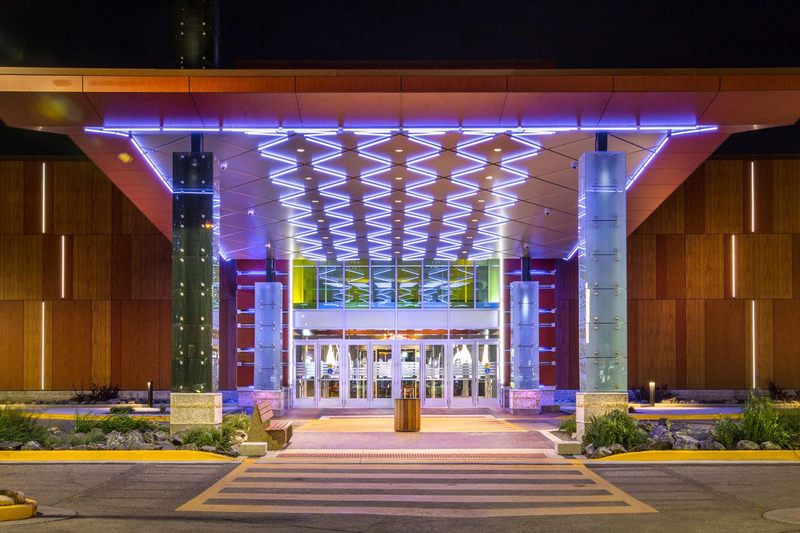 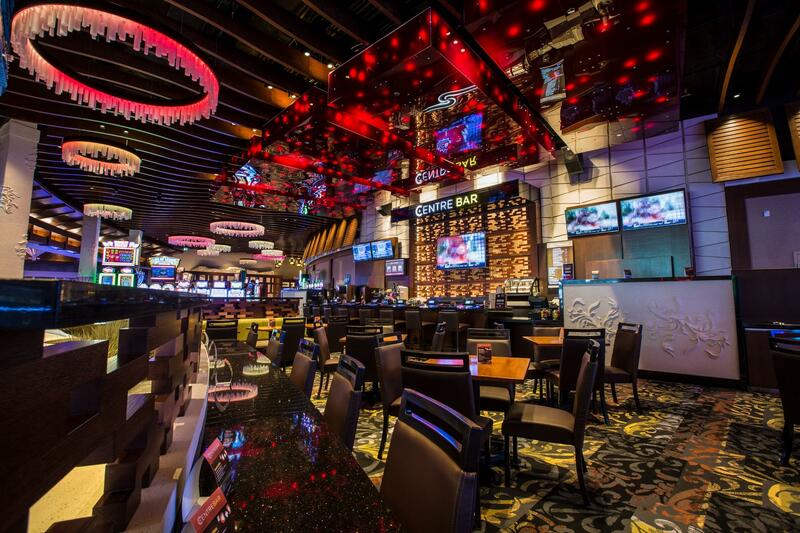 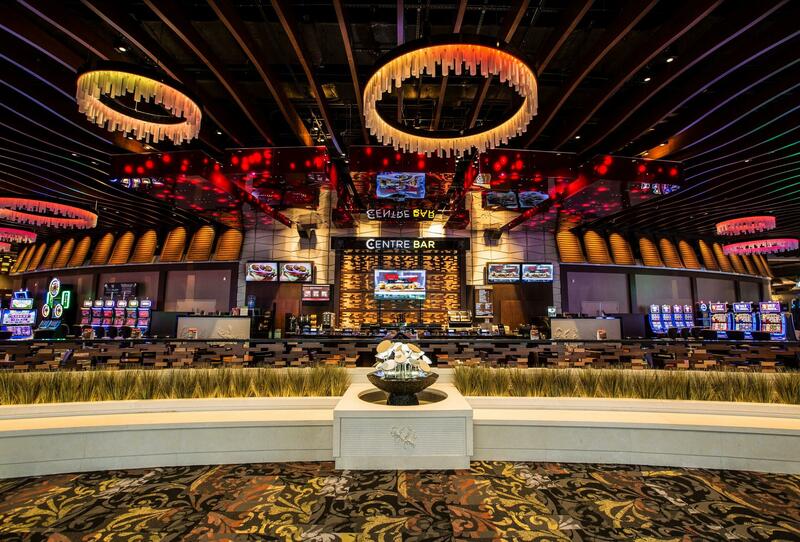 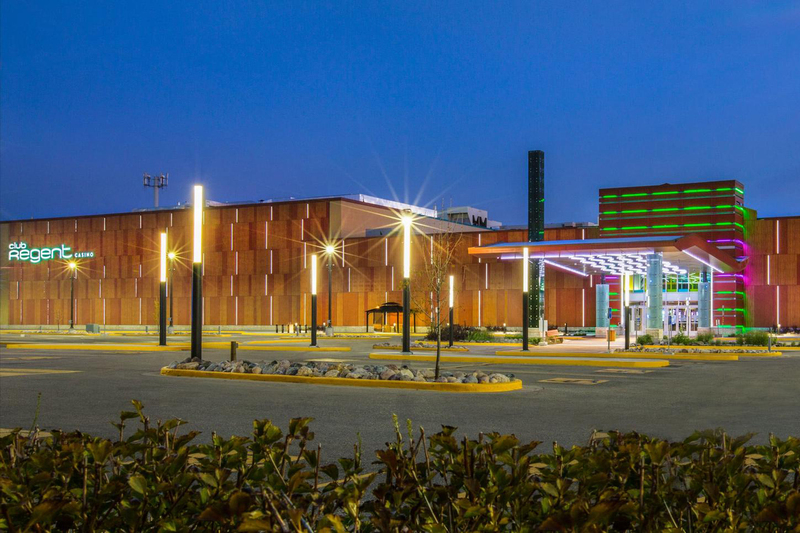 The venue has a variety of amenities, including the Casino, complimentary coat check, complimentary 900 stall covered parking with skywalk and elevator accessibility, overflow outdoor parking, and $5.00 valet parking. 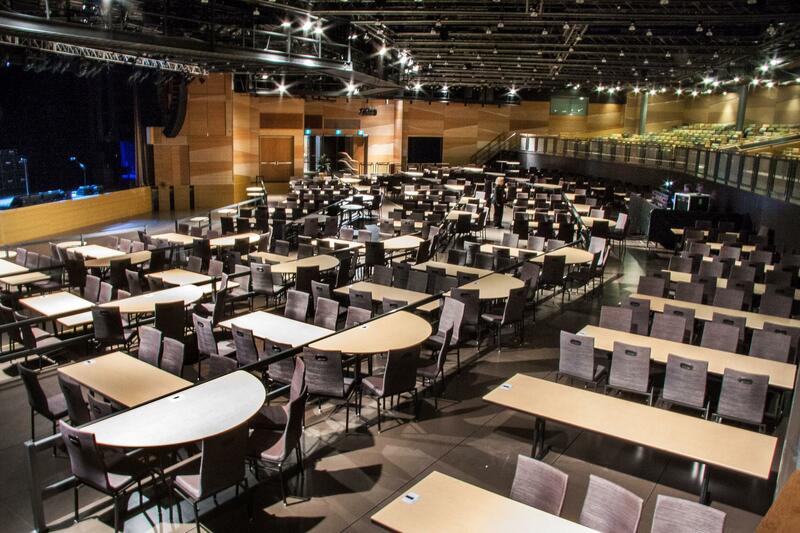 Host a convention or meeting that captures audience attention and keeps them engaged with our tiered, theatre style seating. 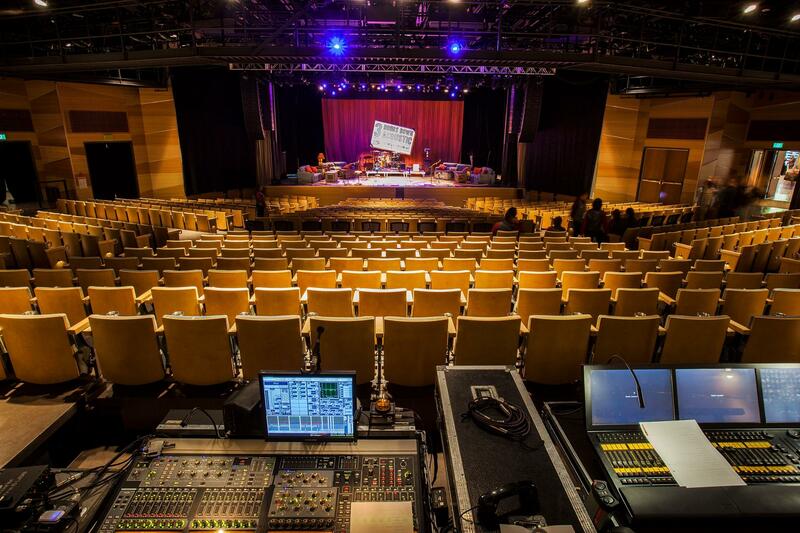 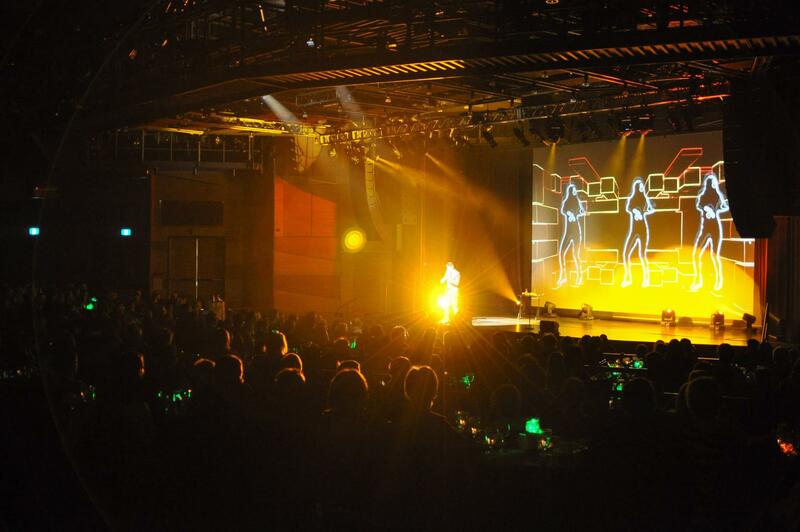 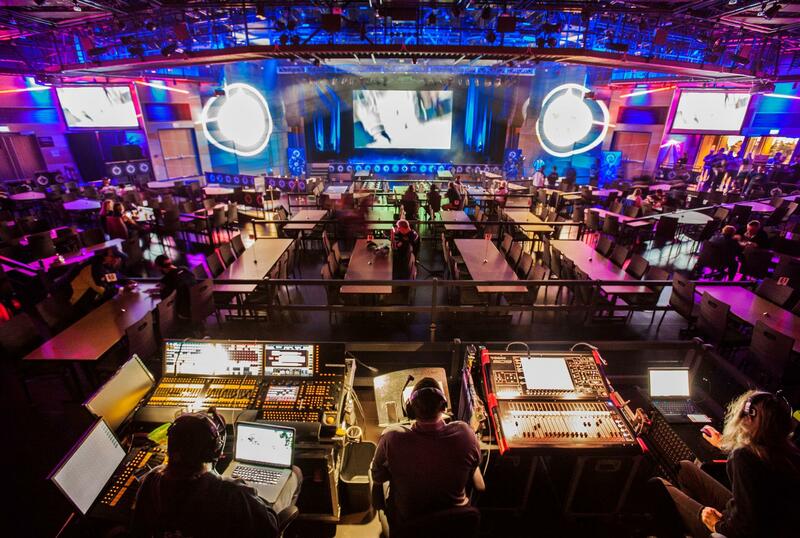 Every guest will have a great view, and our state-of-the-art lighting and sound equipment allows anyone on stage to command the room. 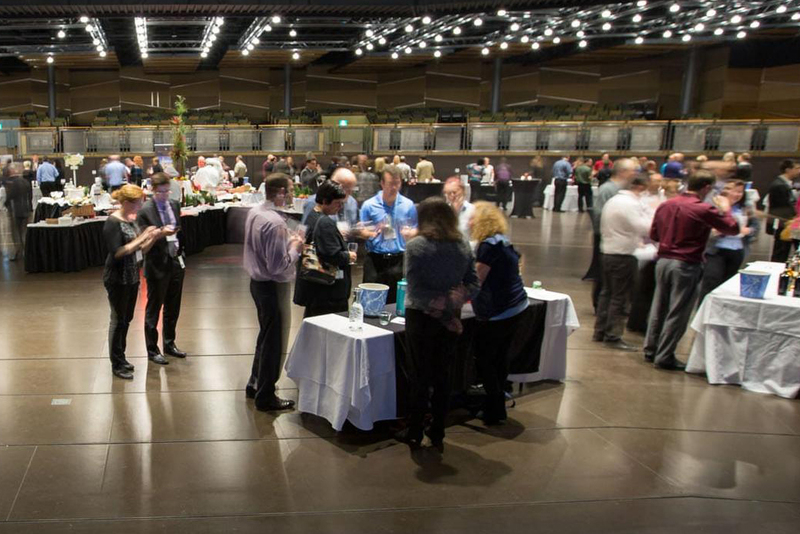 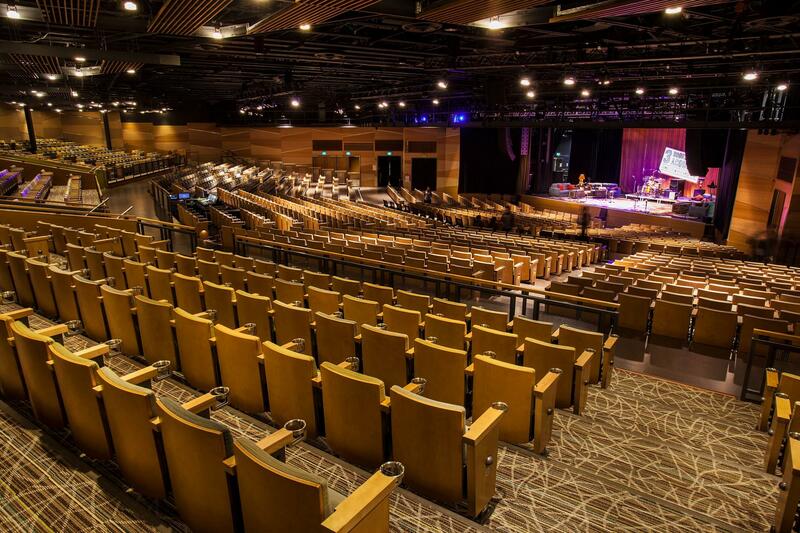 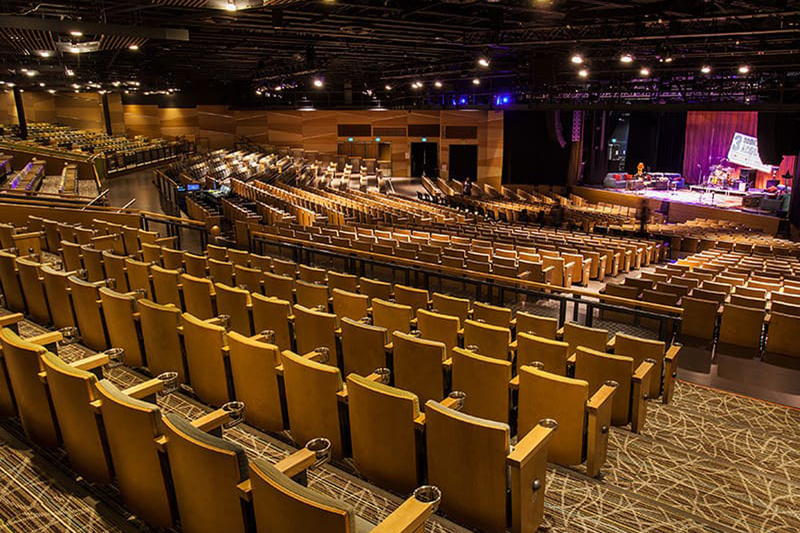 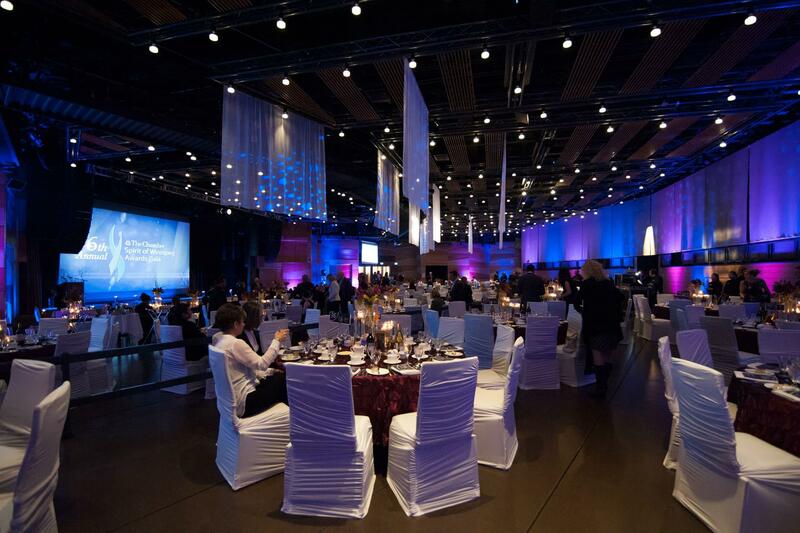 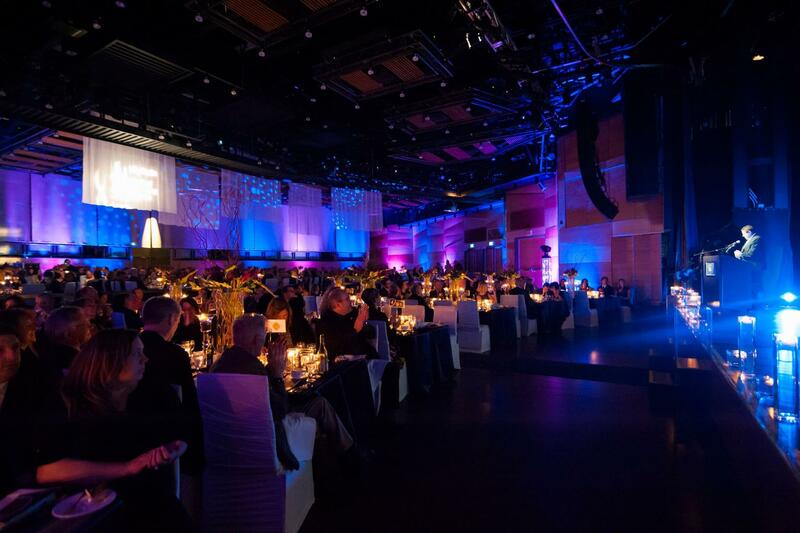 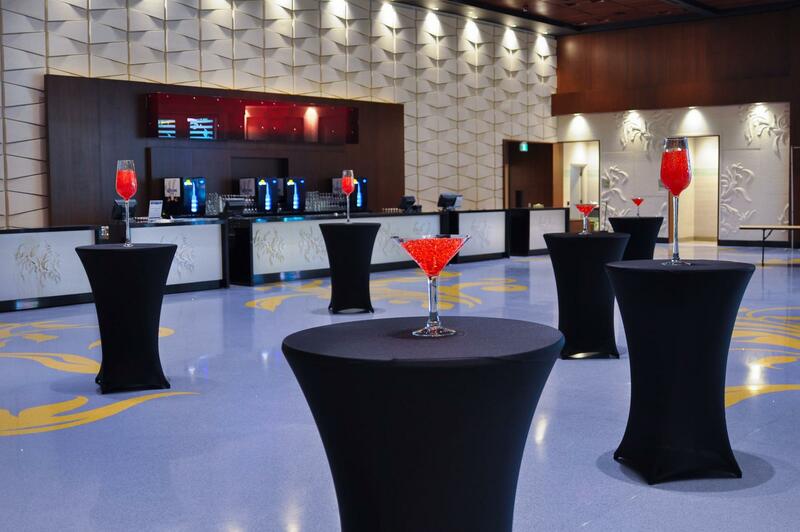 For upscale events like banquets and galas, the theatre style seating of the Event Centre can be collapsed using an innovative mechanical system located underneath the floor. 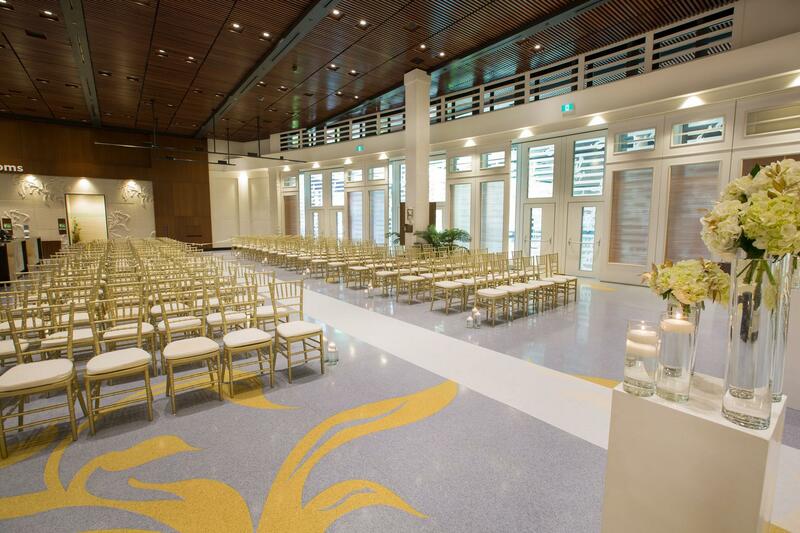 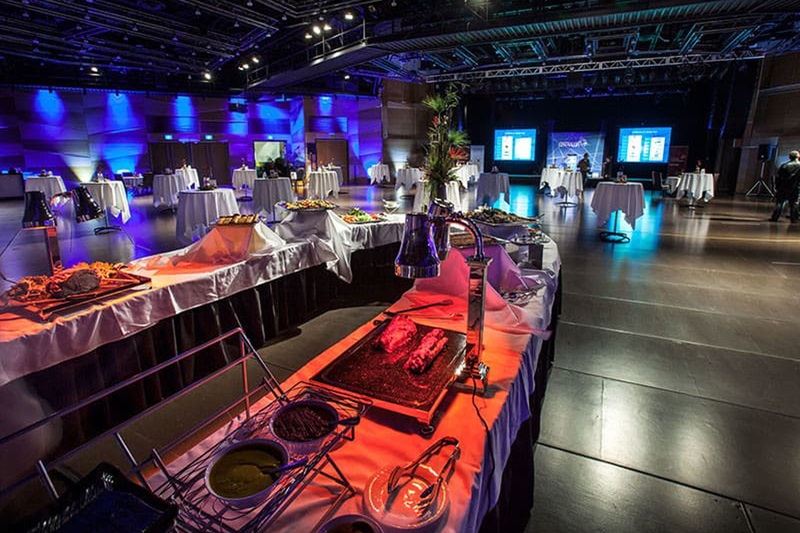 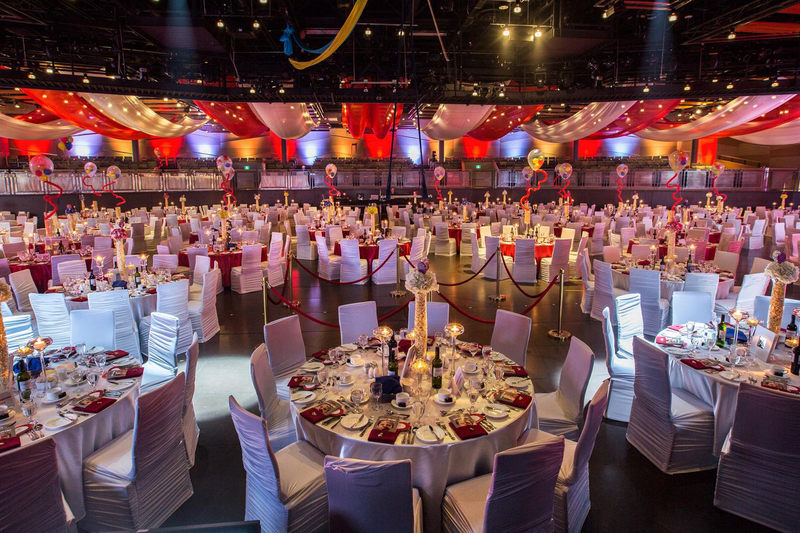 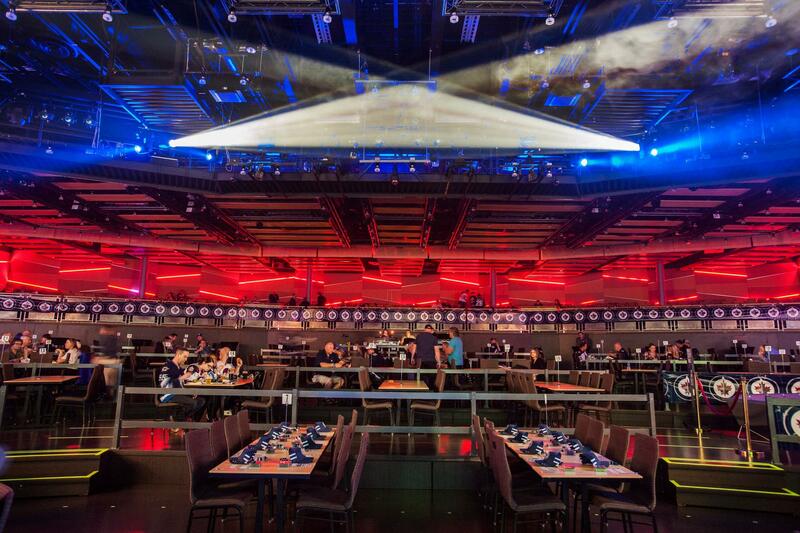 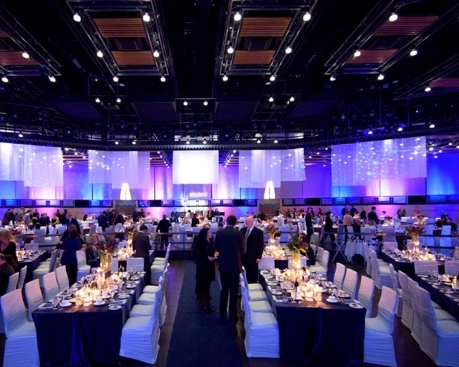 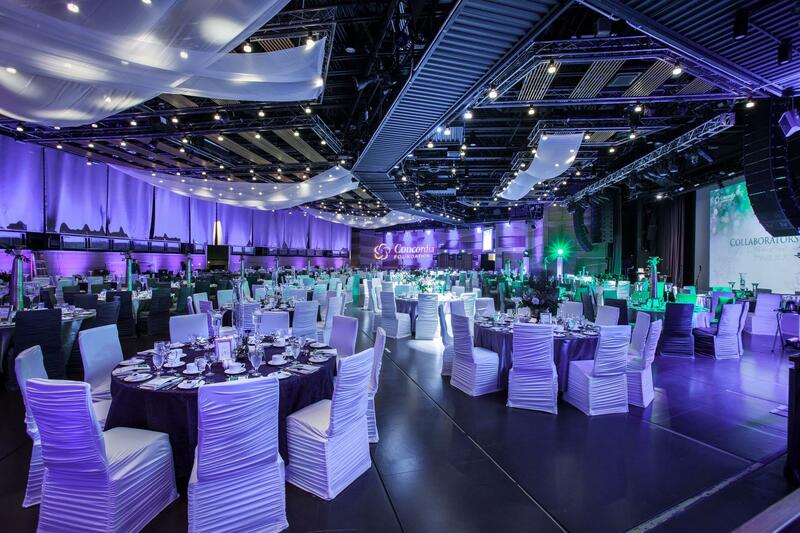 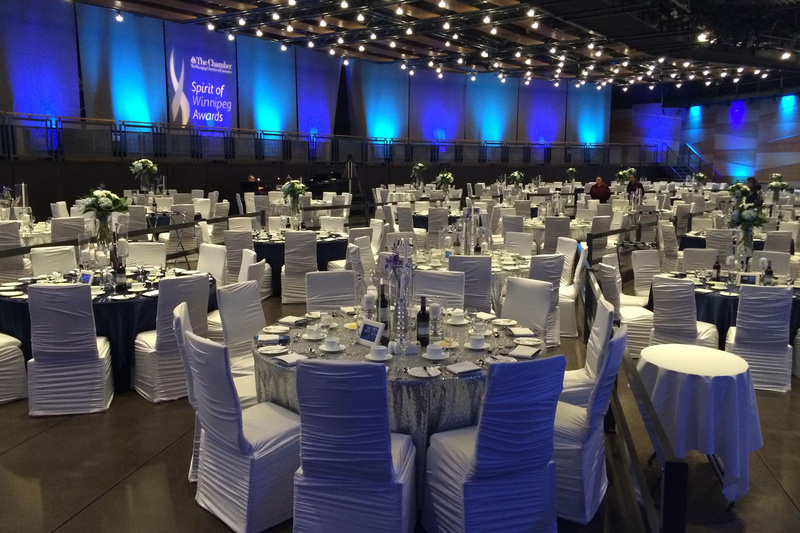 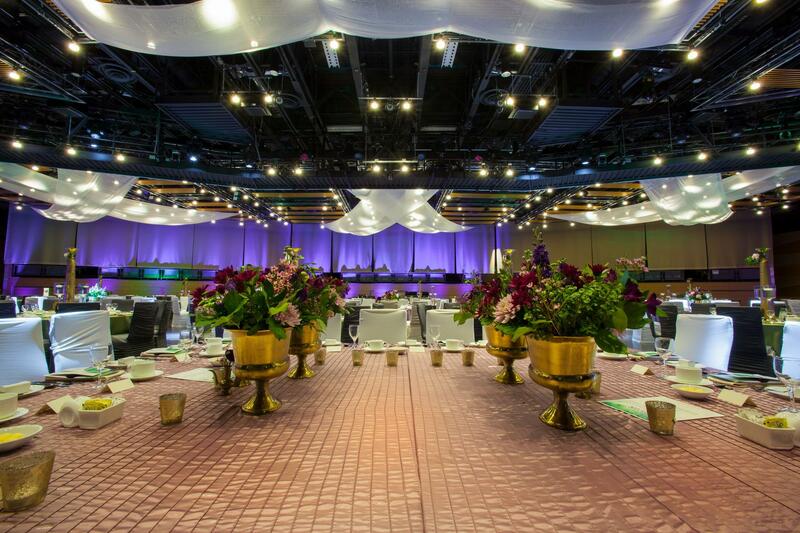 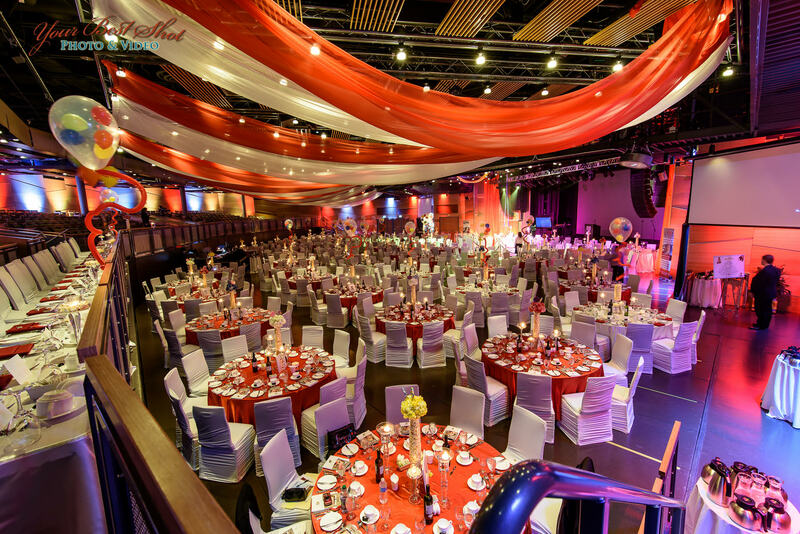 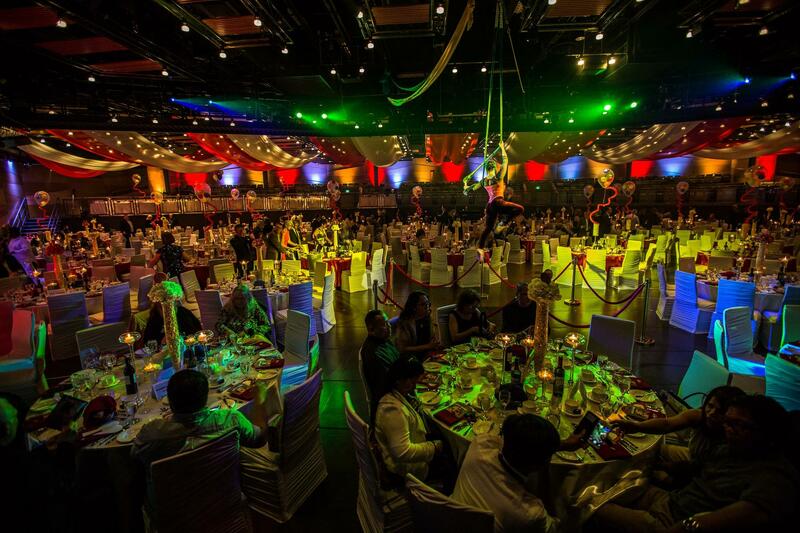 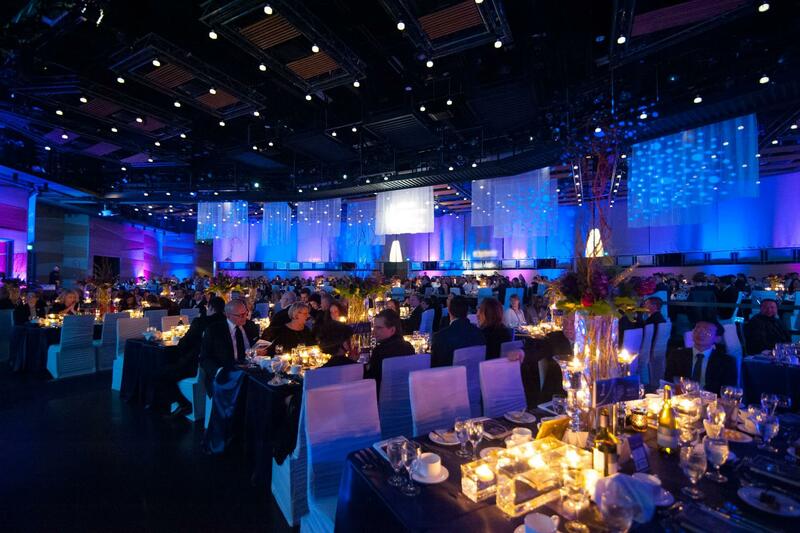 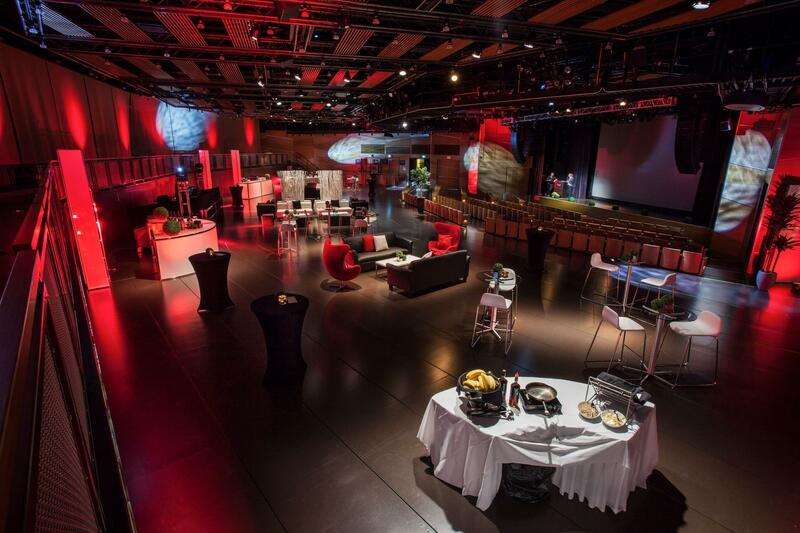 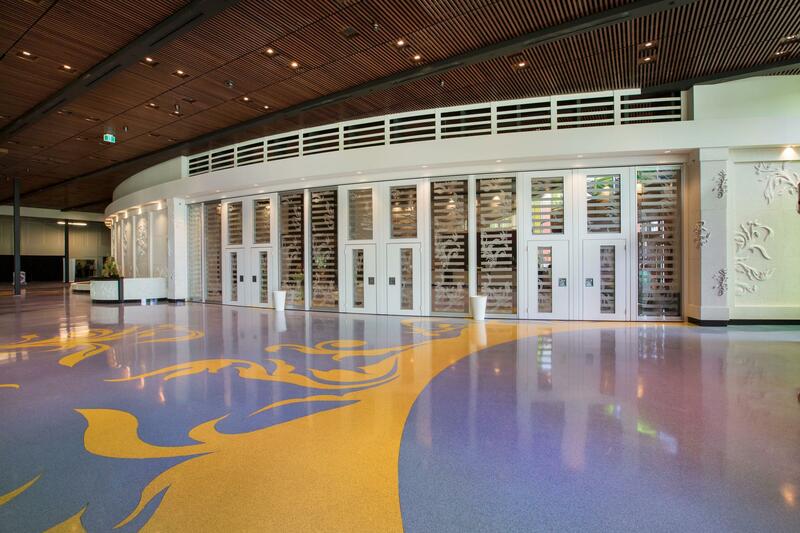 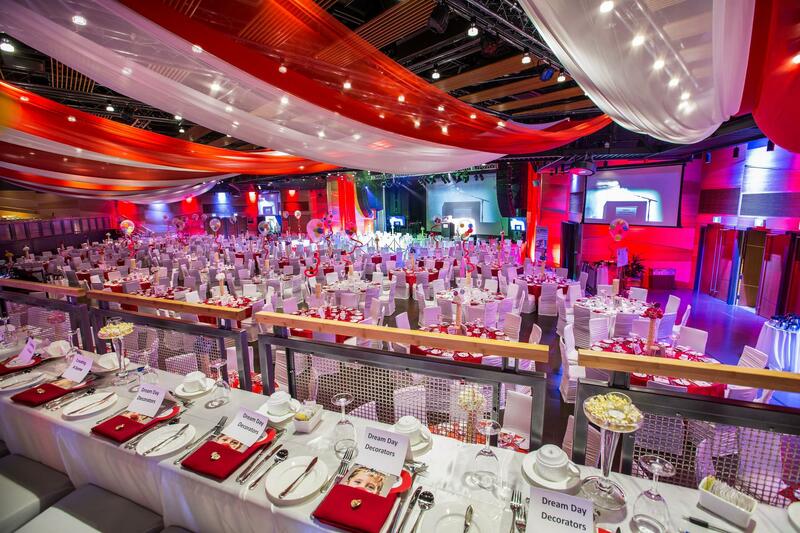 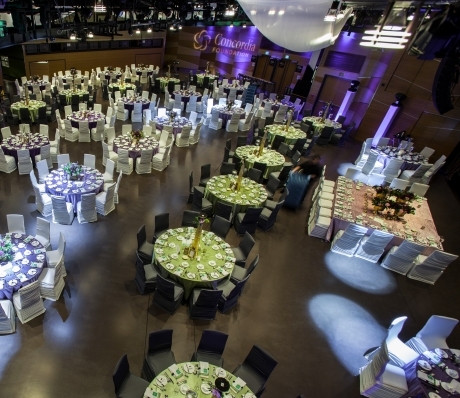 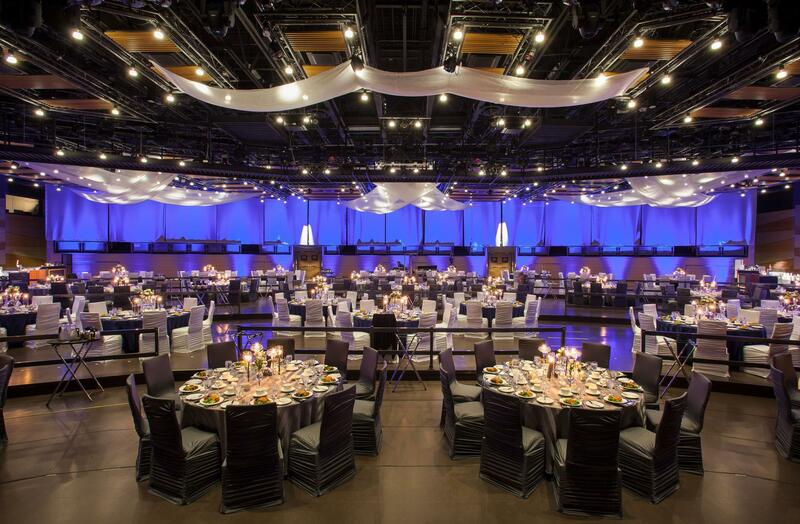 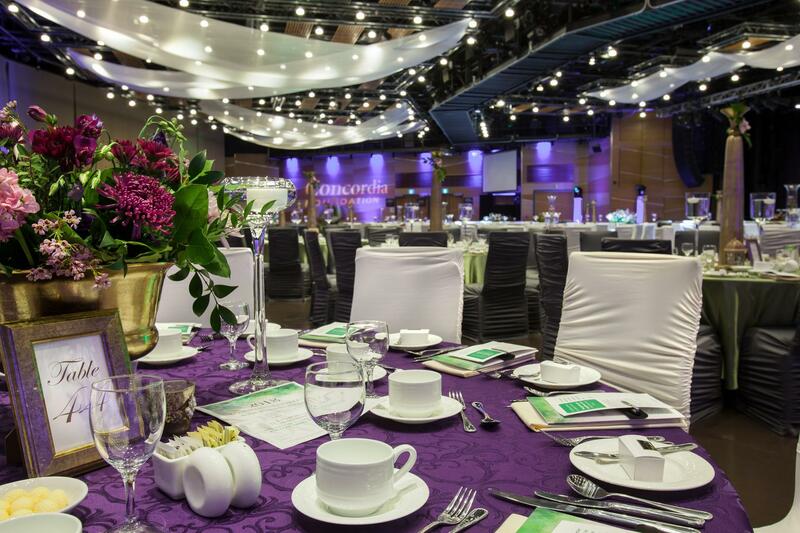 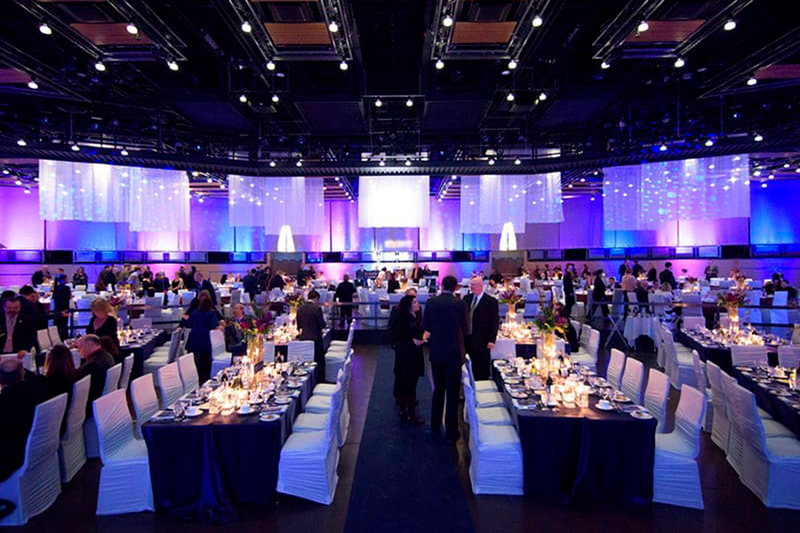 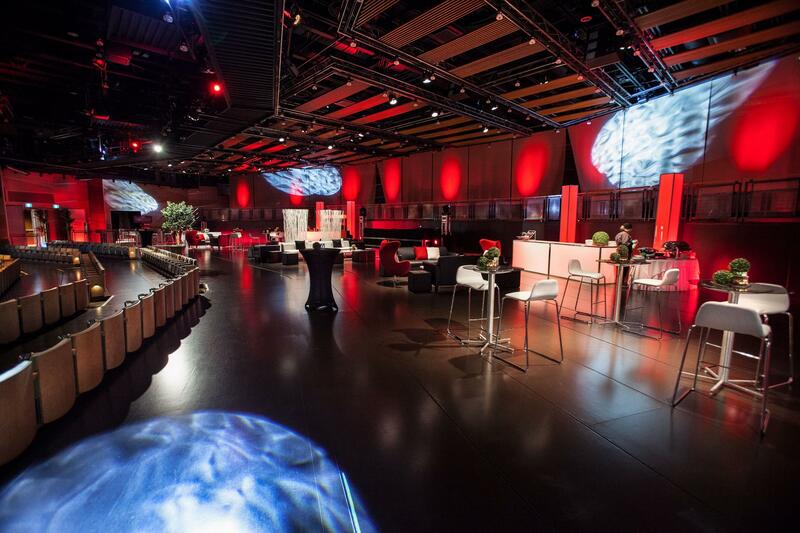 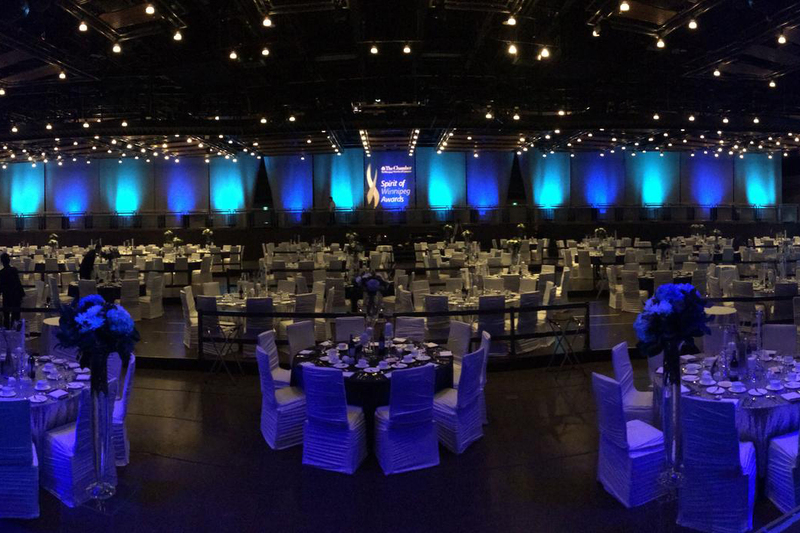 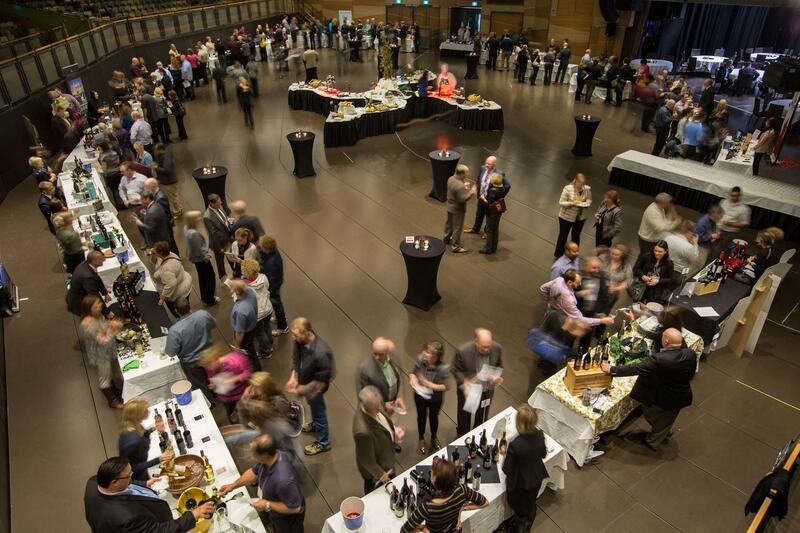 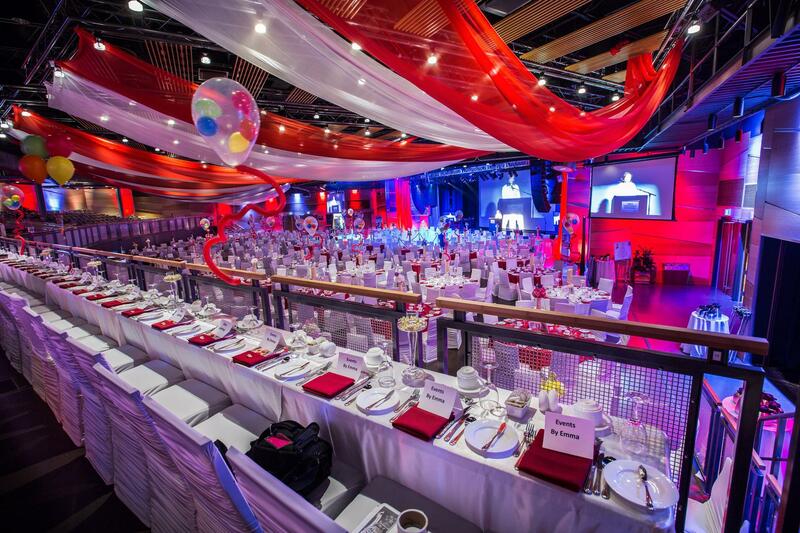 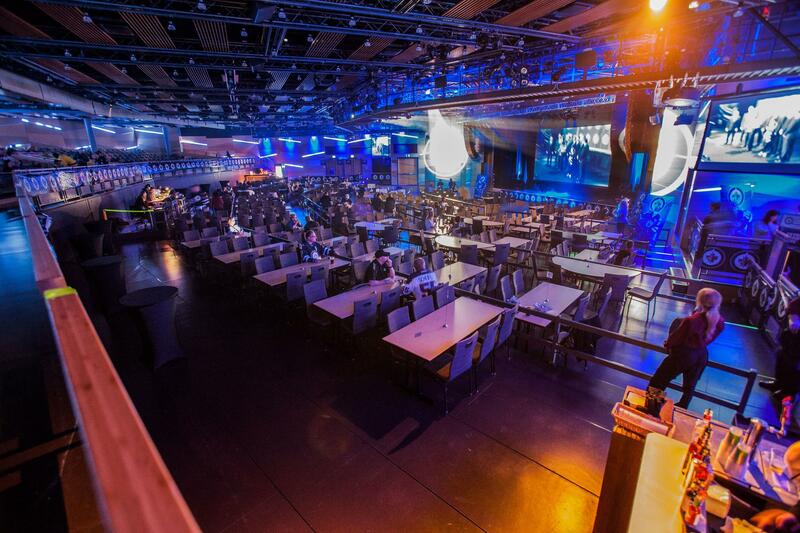 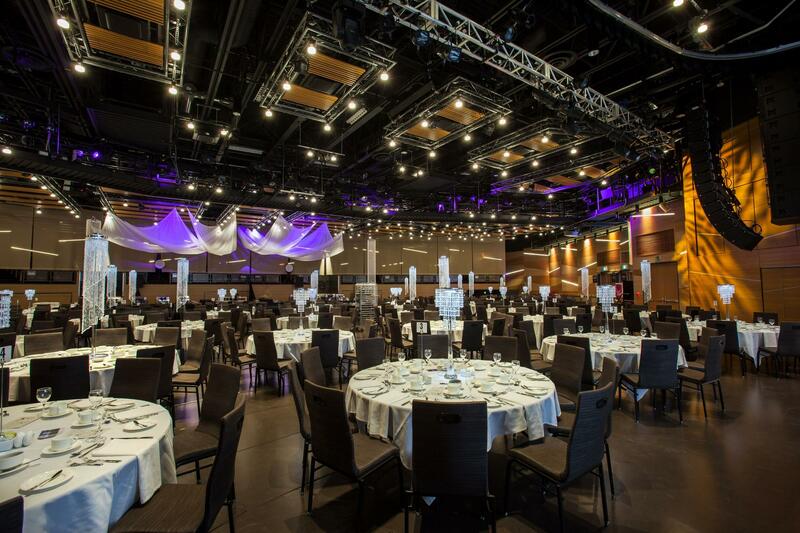 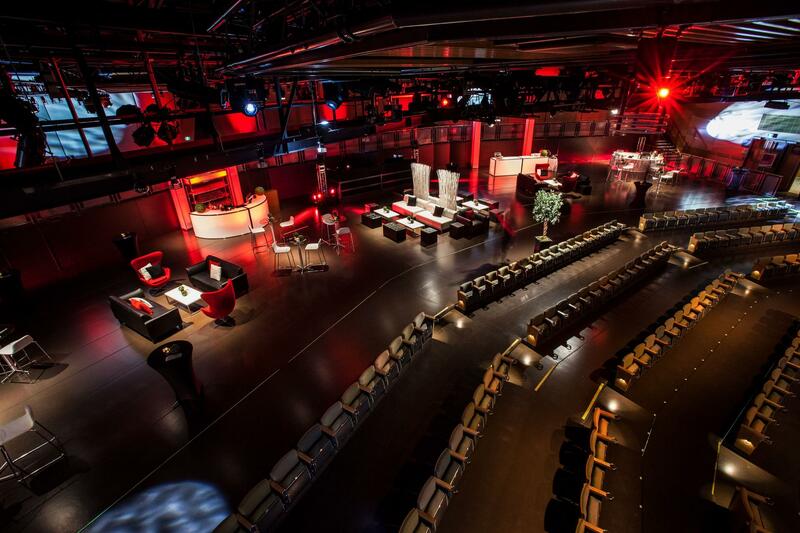 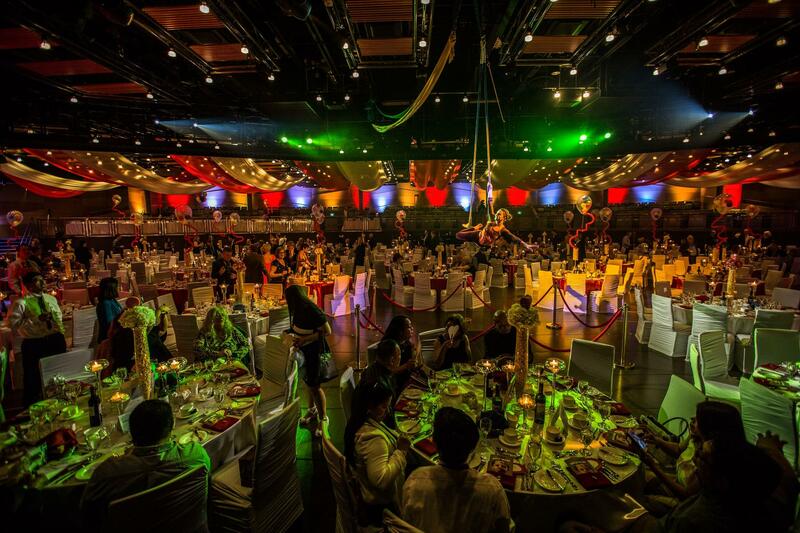 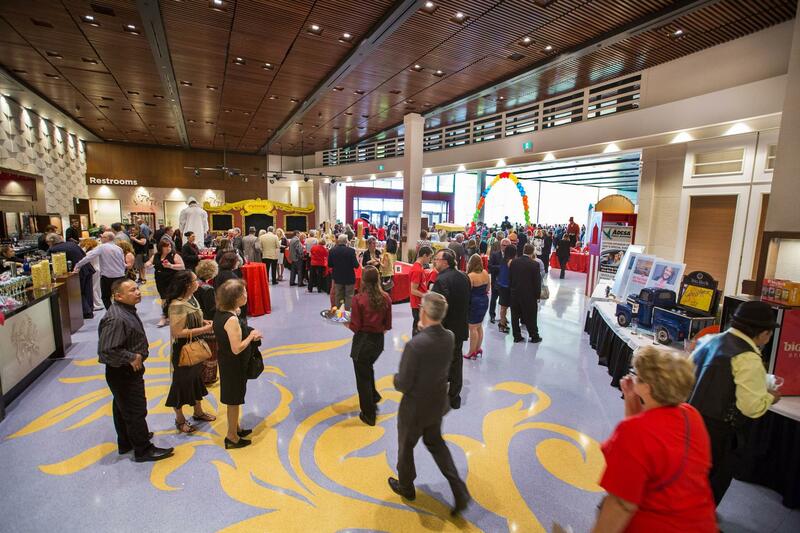 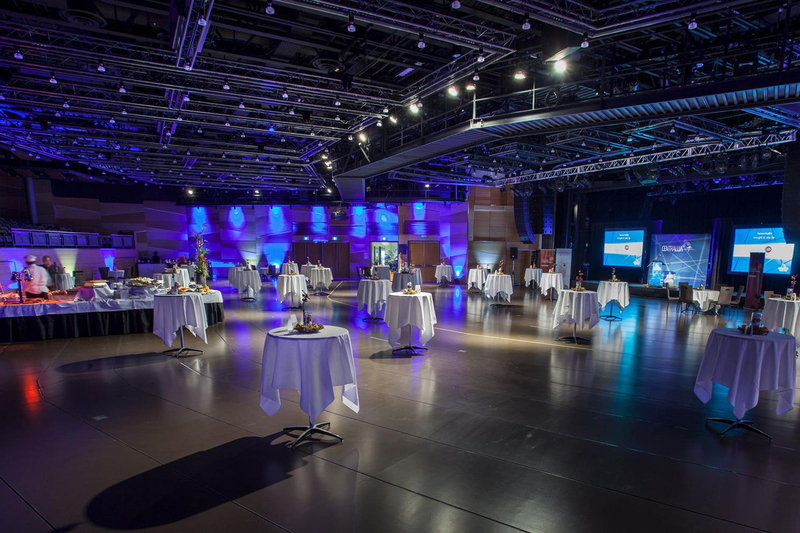 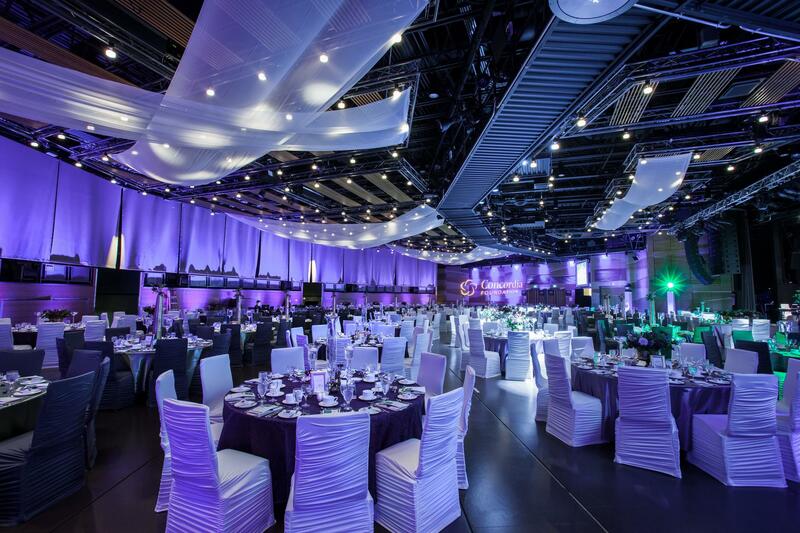 This converts the Event Centre into a flat-floor layout that can comfortably seat up to 600 guests. 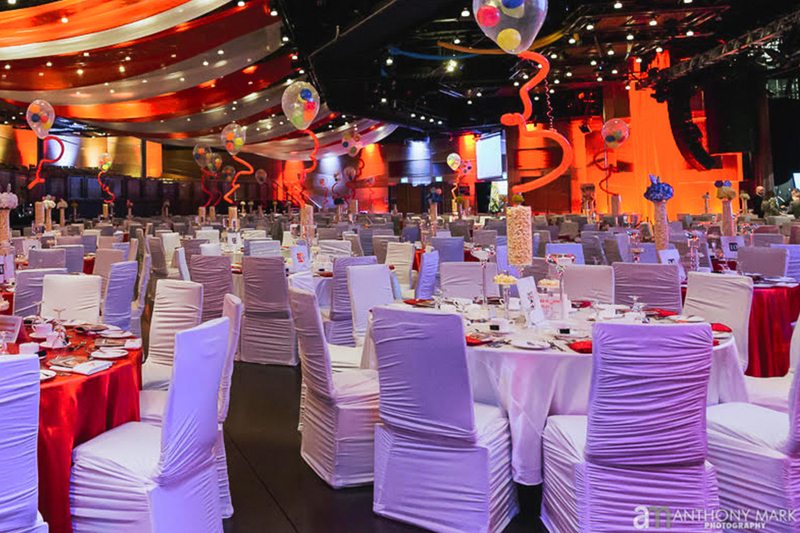 If your event plan includes using the stage, and you want to seat guests at tables, you can ensure everyone still has a great view with our tiered layout. 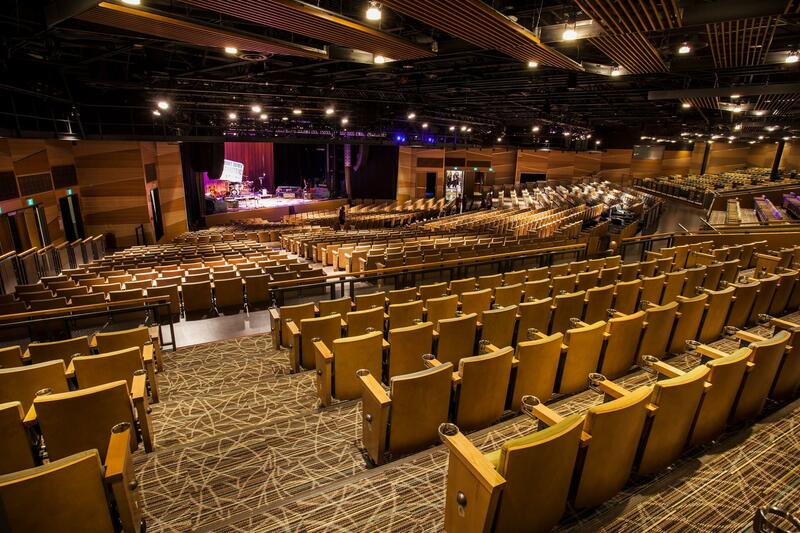 We can easily stow away the theatre seats under the floor while keeping the tiers. 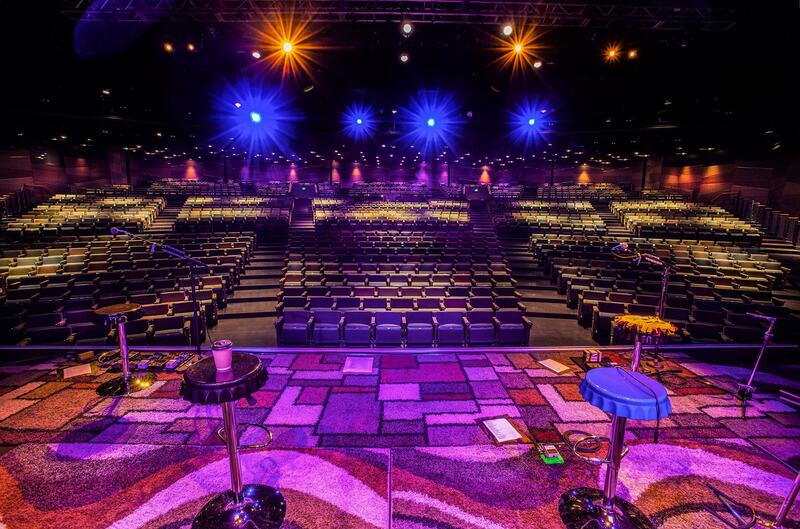 Our 8,363 sq. 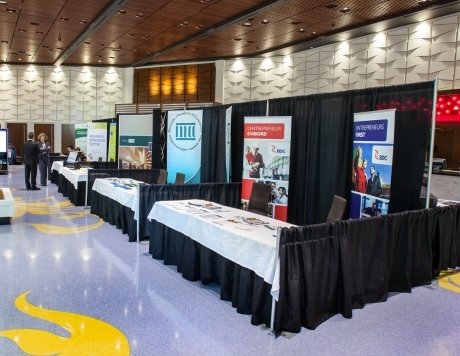 foot space can accommodate a combination of 8x10 booths and 10x10 booths. 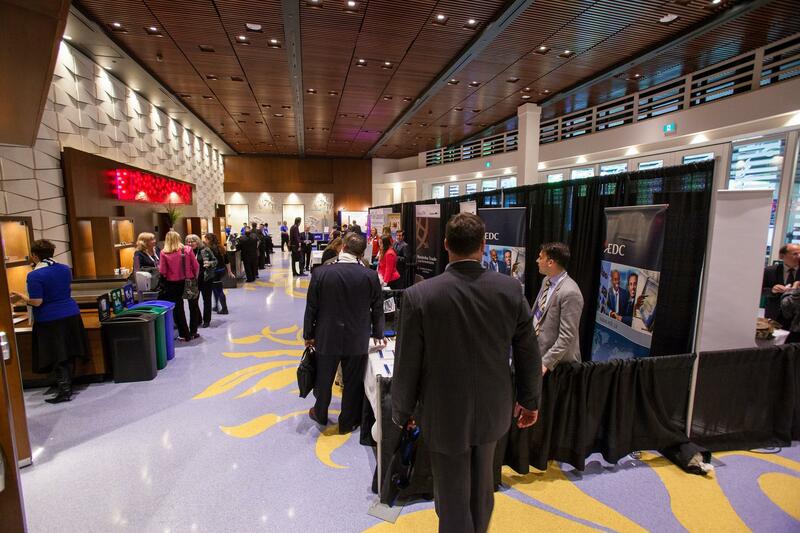 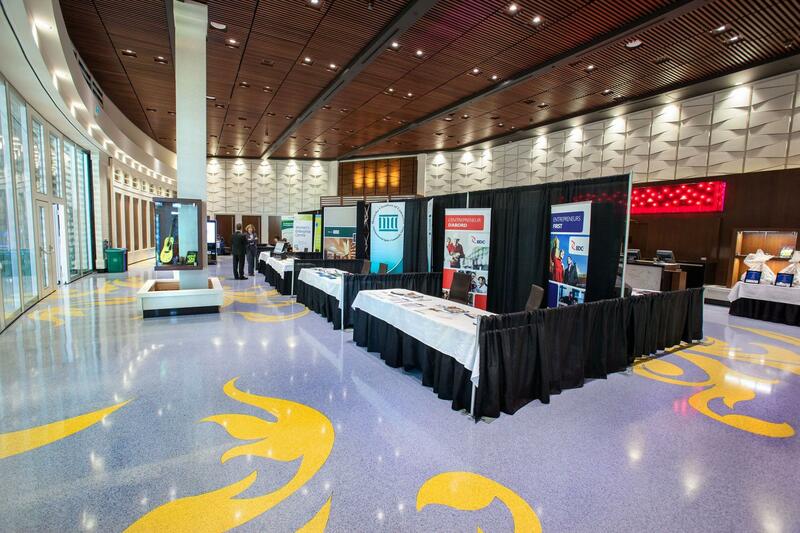 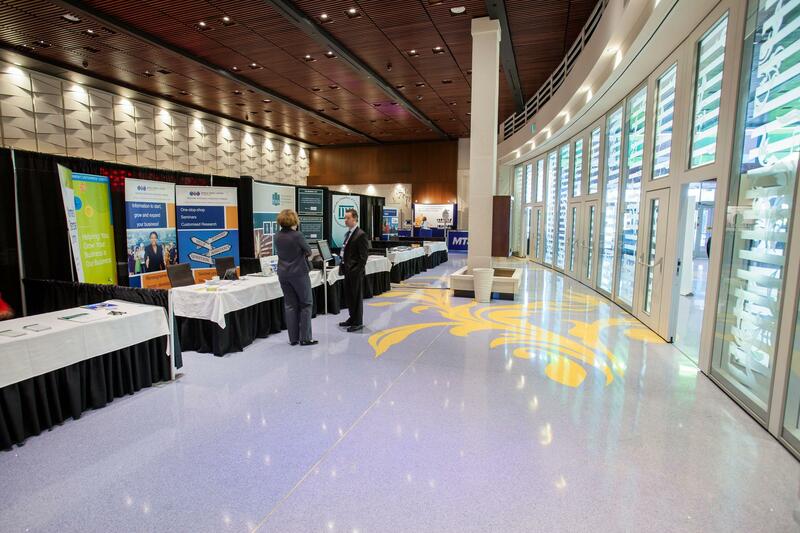 Our dedicated event planning team will assist you in creating a booth layout that maximizes the space while remaining intuitive to navigate for trade show visitors. 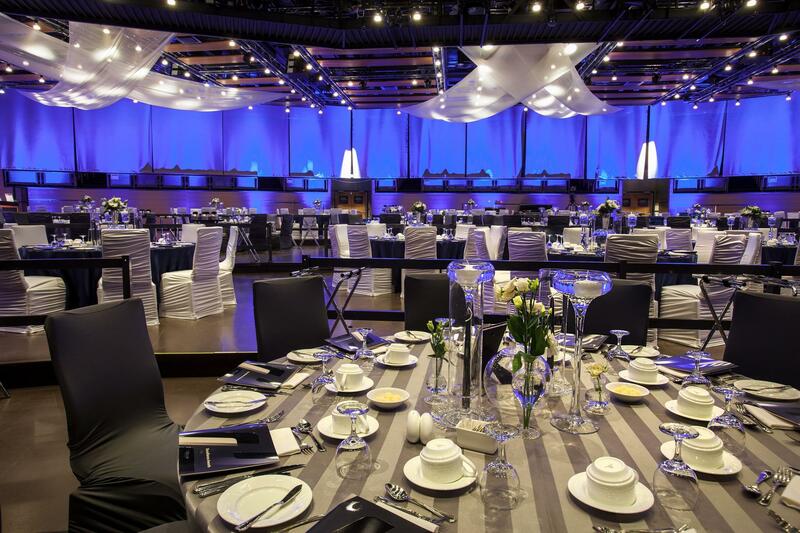 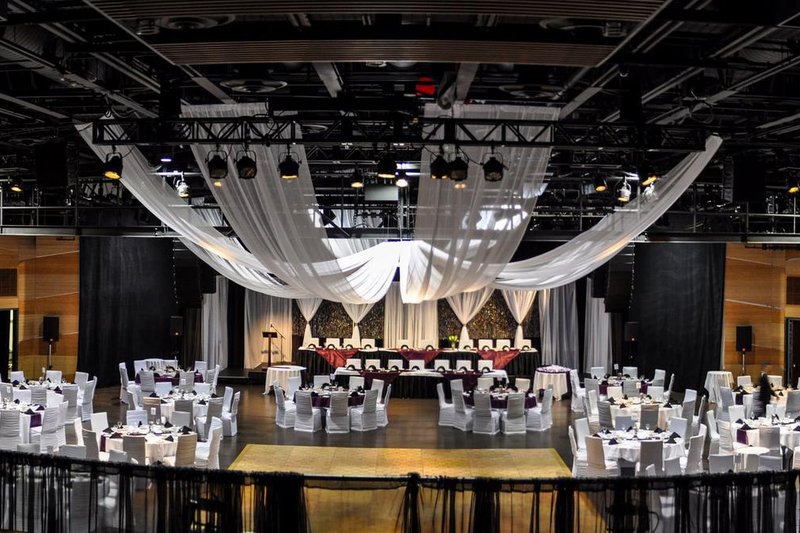 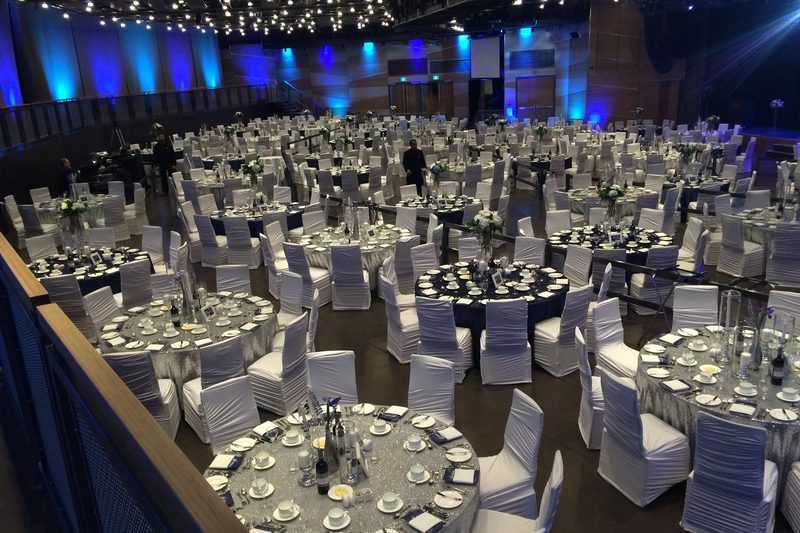 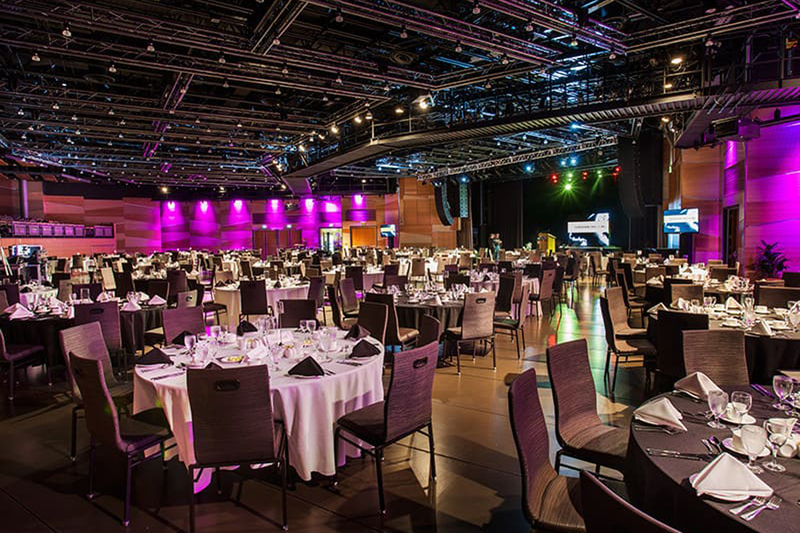 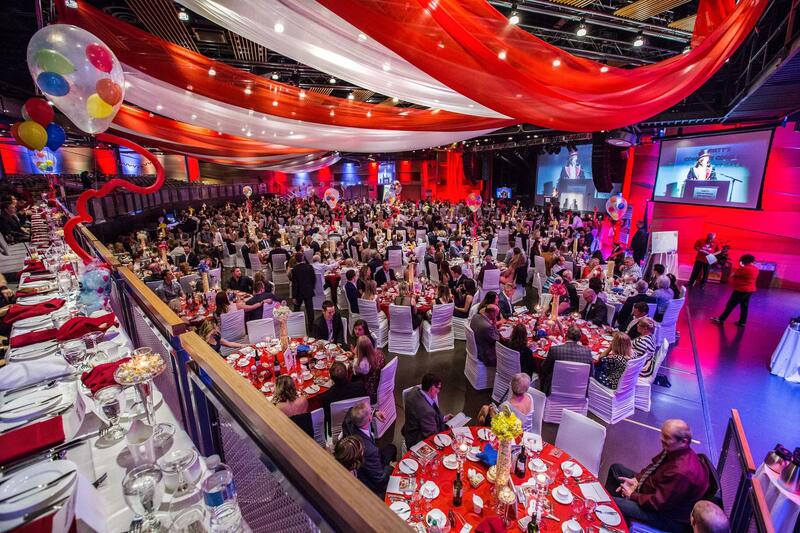 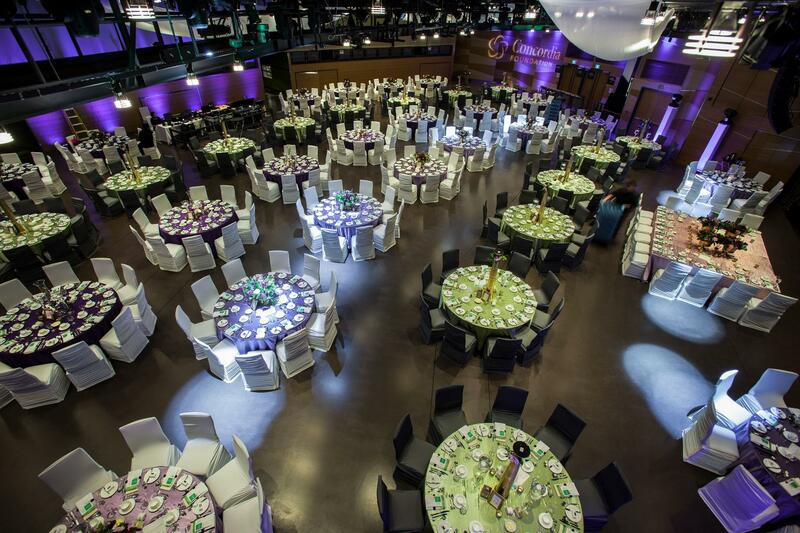 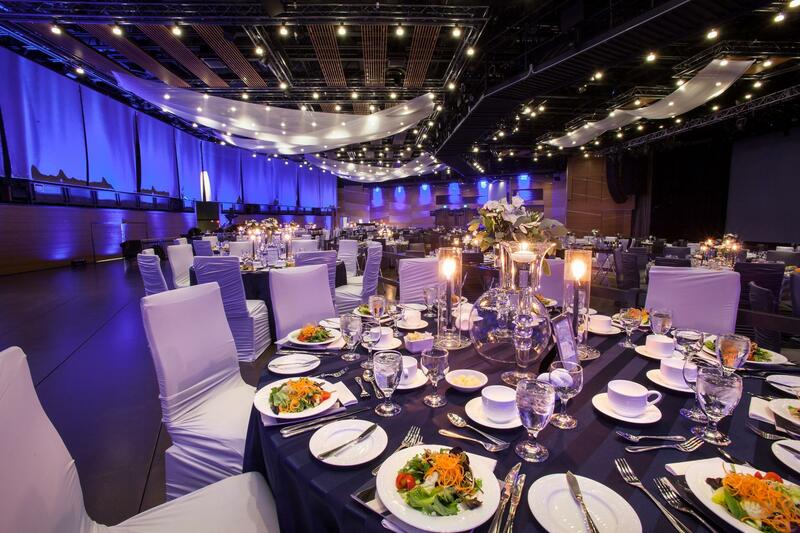 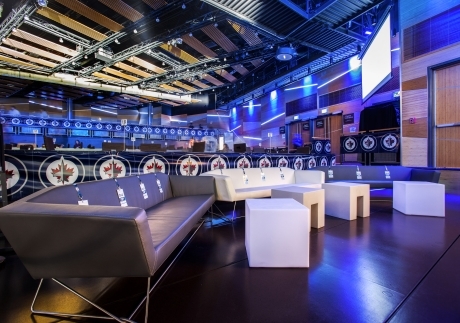 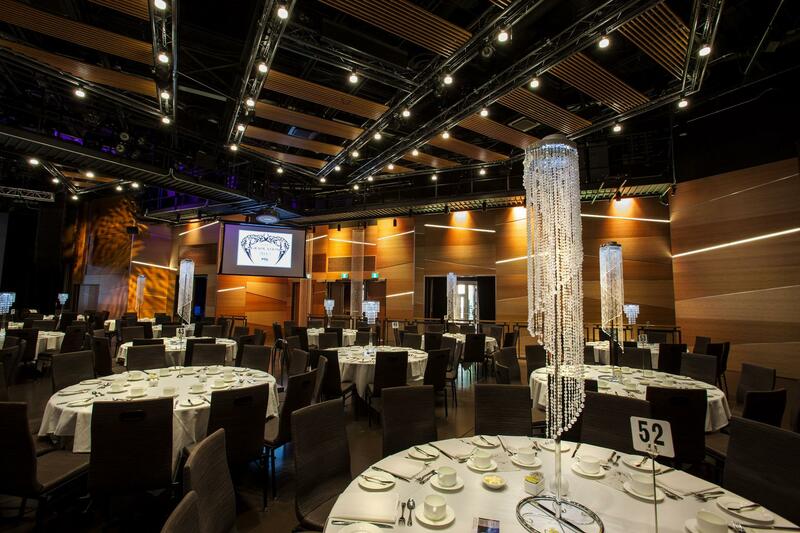 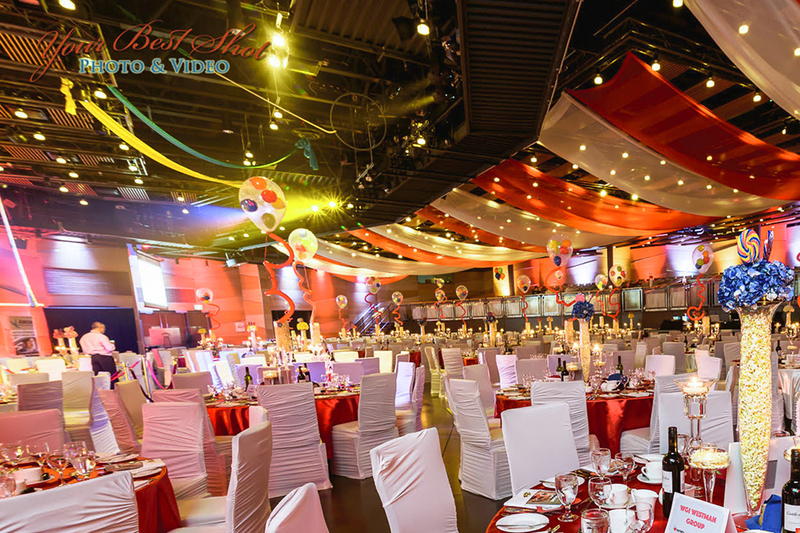 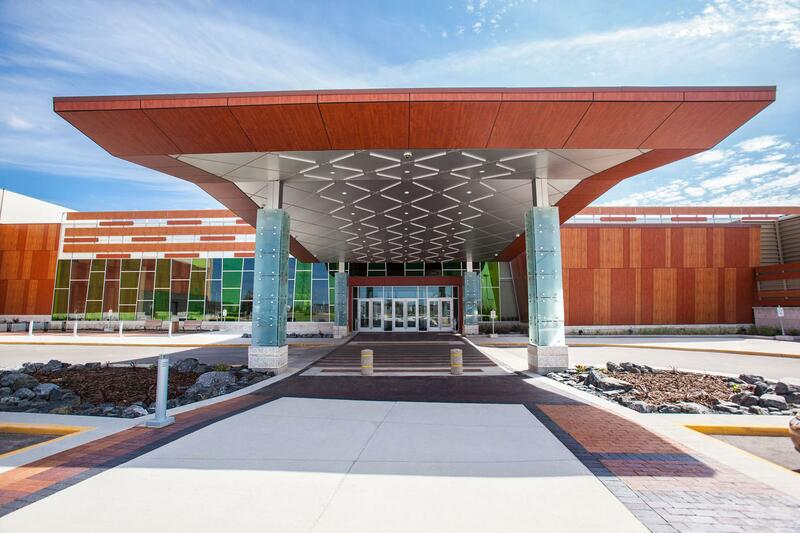 Club Regent Event Centre has the capacity to host any event you can imagine, including other special events like fundraisers and graduation ceremonies. 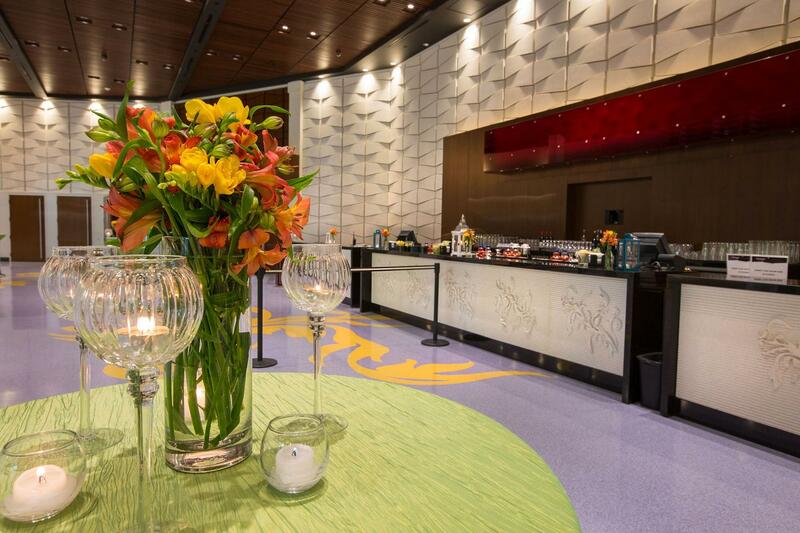 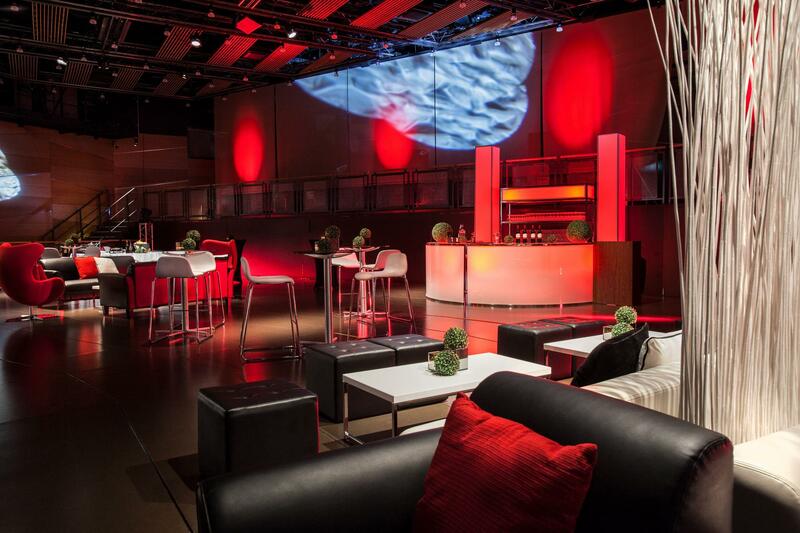 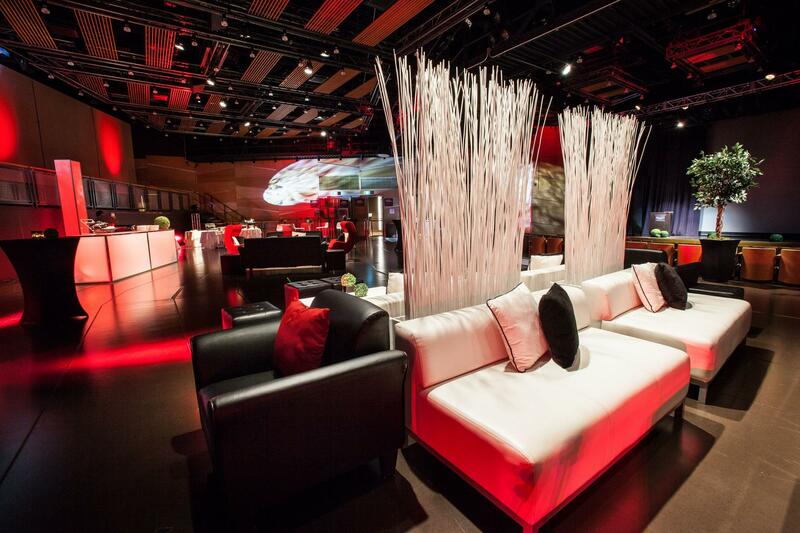 We'll personalize every fine detail of your event to make sure it's perfectly executed.